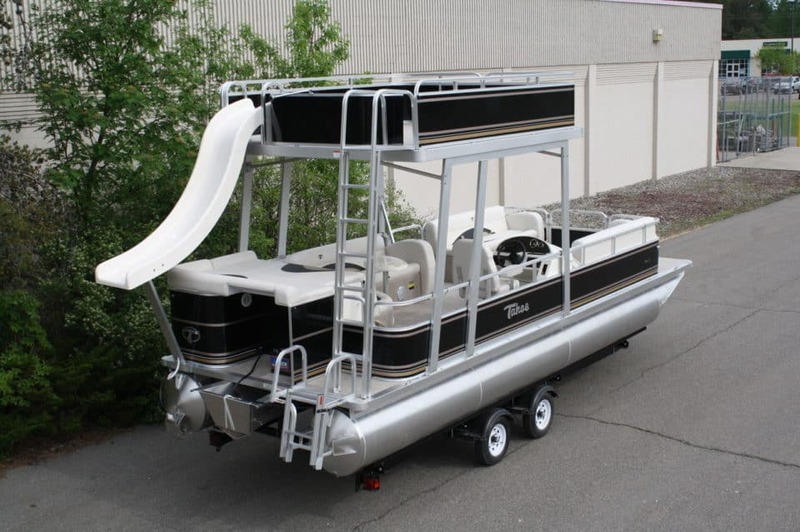 At some point, some designer, a hero amongst us, took a look at the sad little pontoon boat and declared that it would not do. 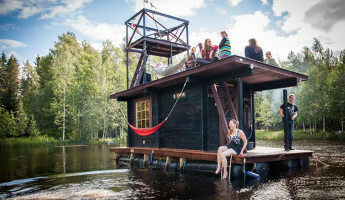 S/he considered these floating party barges that puttered around, going nowhere fast but providing luxurious ways to drink and relax out on the water and said “I can make these better. 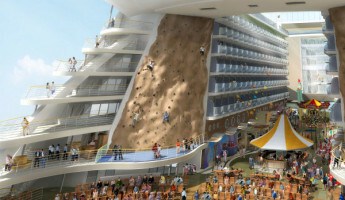 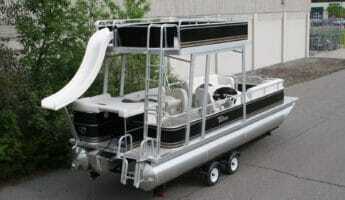 I can make these true seafaring vessels that allow you to party and can pull a water skier. 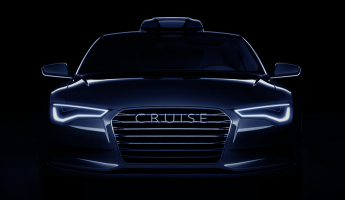 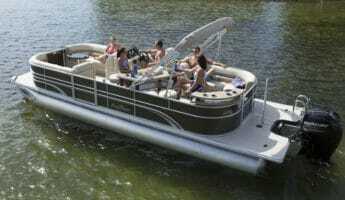 I can make them dance across the waves with power, or rest easy for leisure.” And so they did. 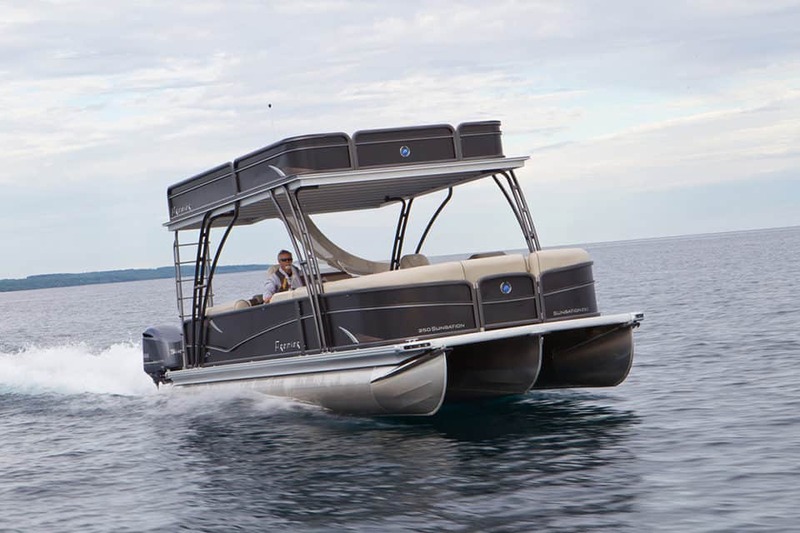 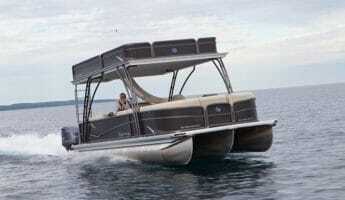 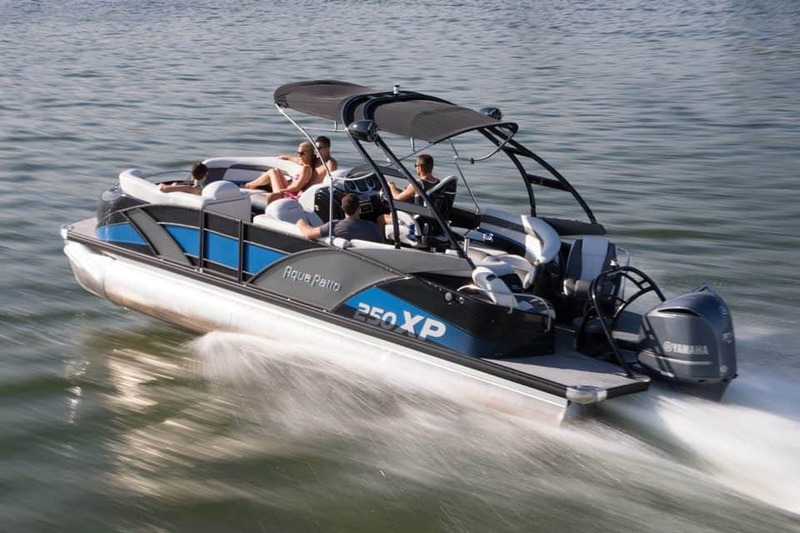 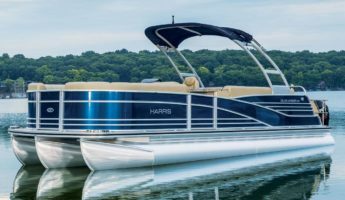 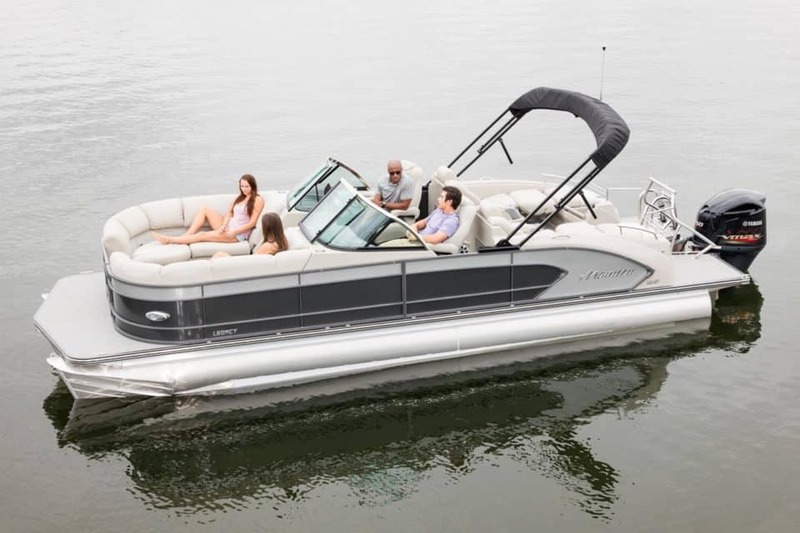 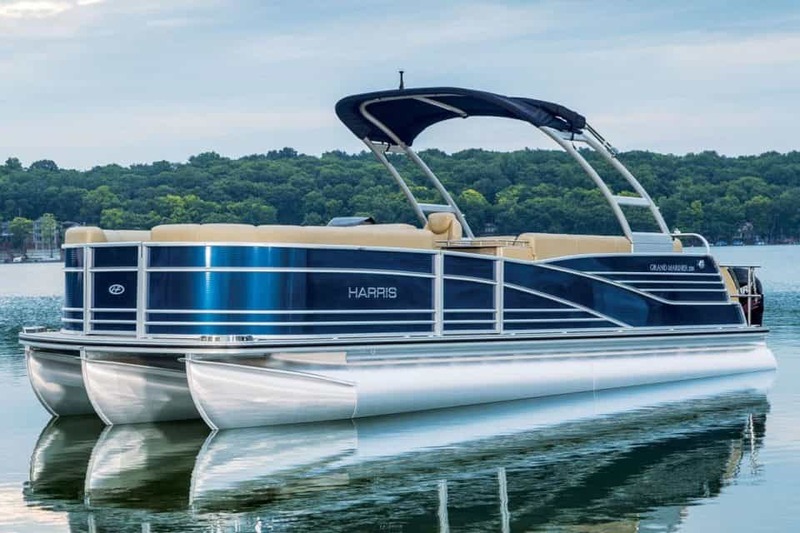 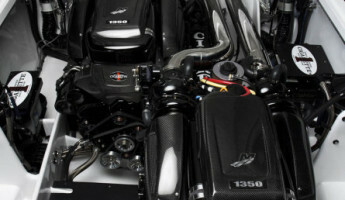 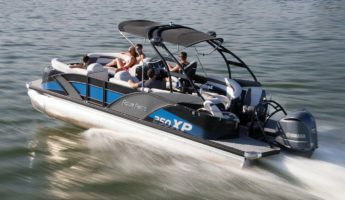 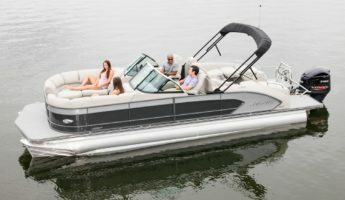 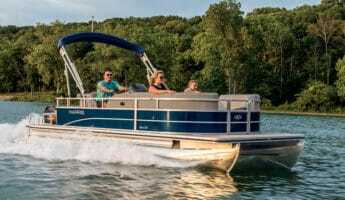 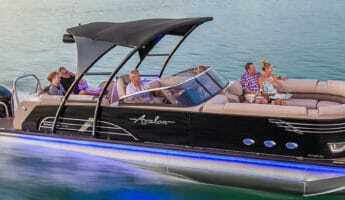 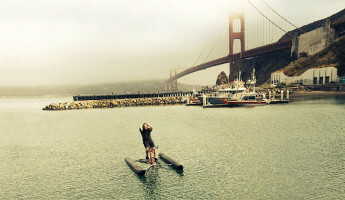 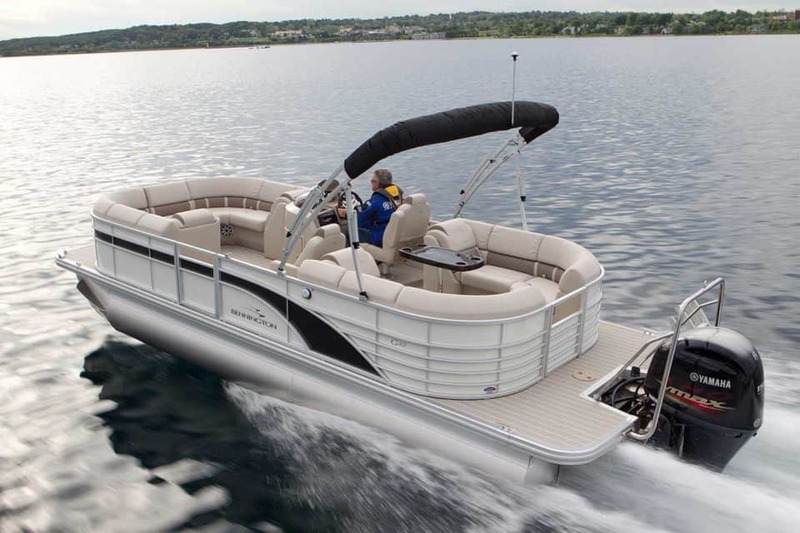 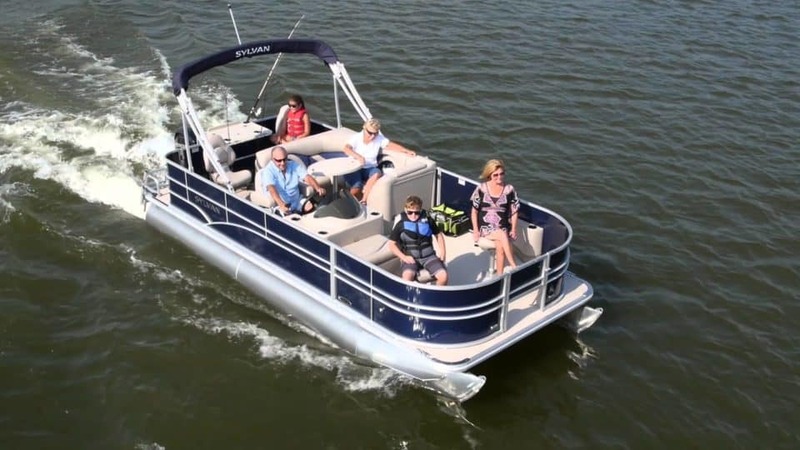 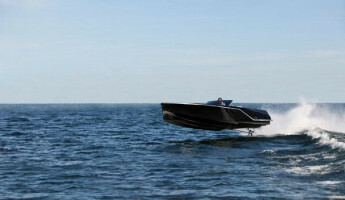 The modern pontoon boat mixes together the best of both watery worlds. 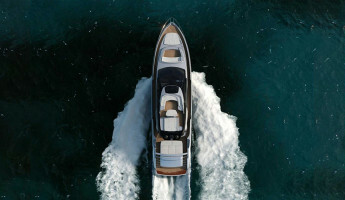 They have the playfulness of the sport boat, made for tight turns, hopping over chop, and facilitating every kind of aquatic pastime, but they retain their roots as barges of decadence, where lazing in the sun, imbibing, dancing, and general revelry hold sway. 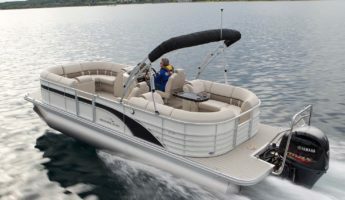 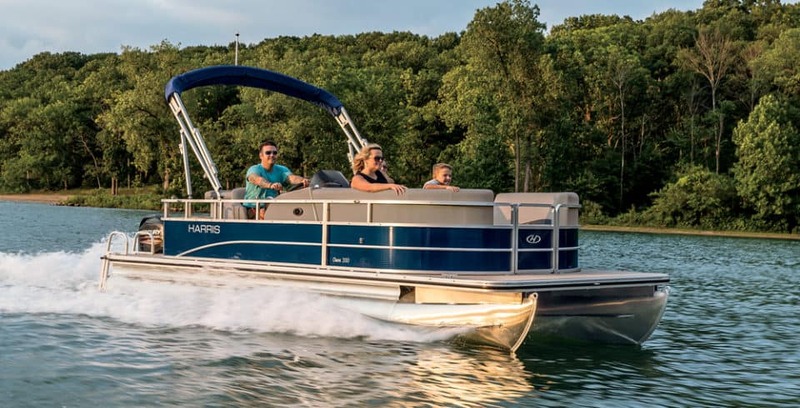 Floating along, straddling these two worlds, here’s the 12 best pontoon boats for partiers who want power in their play.